After getting charmed on the quaint cities of Udaipur and Jaipur, we progressed from our Indian Odyssey by heading to New Delhi, the capital of India and seat of the executive, legislative, and judiciary branches of the Government of India. We went to the bustling city on the 8thday of our journey and spent a few days to sight-see different tourist spots. We left Jaipur early morning to catch a train going to New Delhi. Travel time takes about 4 hours. We were able to reach the destination before lunchtime. We were fetched by our hostel’s driver which was so convenient as we didn’t need to negotiate with people who were offering transport service waiting outside the terminal anymore. 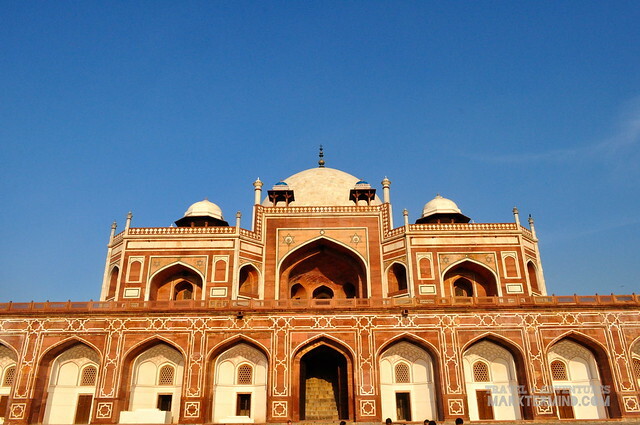 New Delhi is home to several heritage sites, historic places and museums. With quite a lot of tourist spots that can be visited in the city, having only two days to explore these sites feels not enough. But then again, two days is still two days. Surprisingly, we were able to visit several places already on such period. Our visit in New Delhi was quite exciting for me and Paula as we were joined by a fellow Pinoy Travel Blogger who was also in a journey around India that month, Marcos of Ambot-ah!. It was in New Delhi wherein we were able to cross our paths. Me and Paula were on this journey for about a week already when we reached the city and having a new companion for this trip (even just for a short period) was such a celebrated experience. From our guesthouse in Main Bazaar, Gali Chandiwali, Paharganj, we rode an auto rickshaw to get to Humayun’s Tomb which is located in Nizamuddin East, Delhi. It took us around 20 minutes or less to reach this first tourist site on our list. We paid about Rs 100 for the ride. 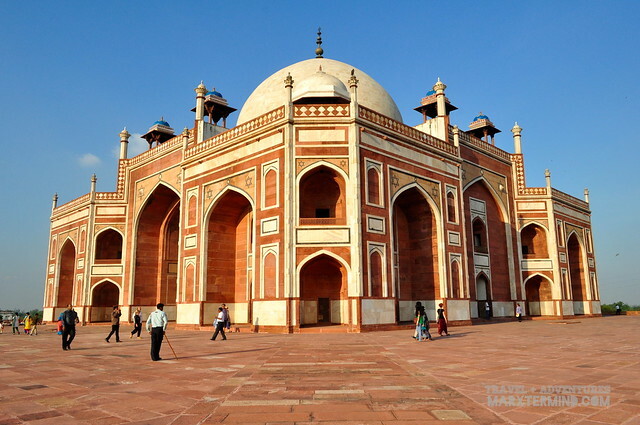 Humayun’s Tomb is open daily from sunrise to sunset with entry fee of Rs 250 for foreigners while Rs 10 for Indians. 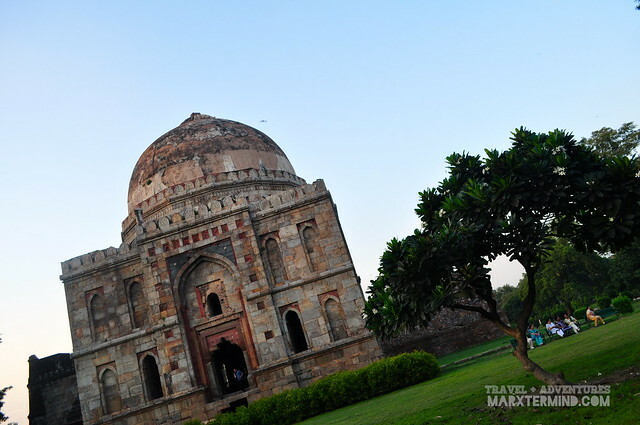 This tomb is a major tourist site in Delhi that was built in 1570. It was declared as a UNESCO World Heritage Site in 1933. 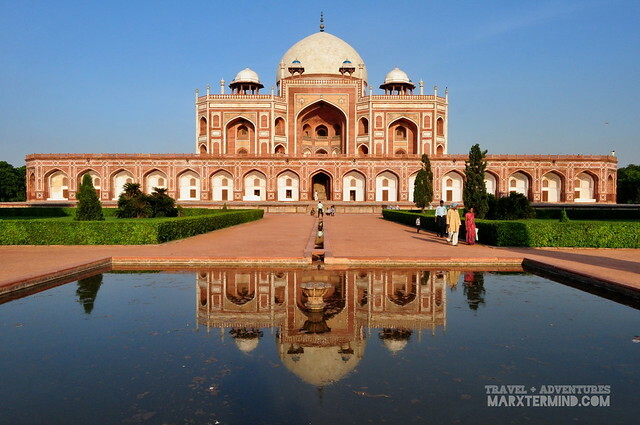 Humayun’s Tomb is the tomb of the Mughal Emperor Humayun. 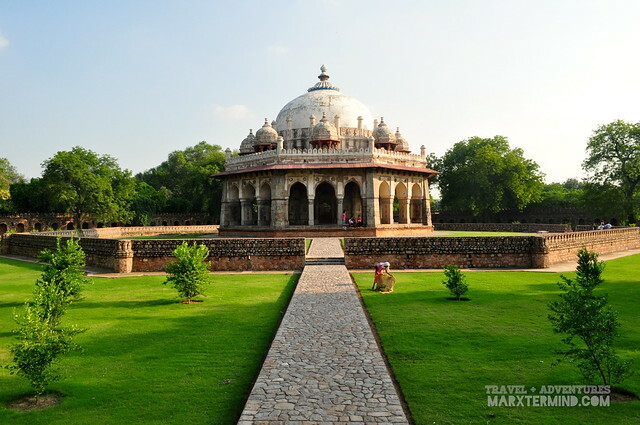 It was said to be the first garden-tomb built on the Indian subcontinent. The tomb was also known to be an inspiration to several major architectural innovation, culminating in the construction of Taj Mahal. 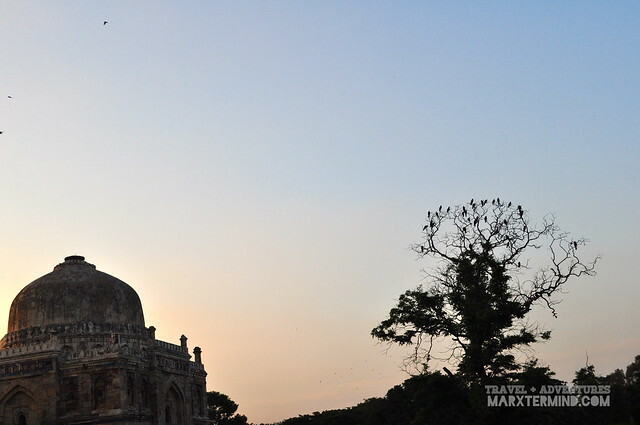 It was already sunset when we had arrived in Lodhi Garden after visiting the impressive complex where the Humayun’s Tomb is. 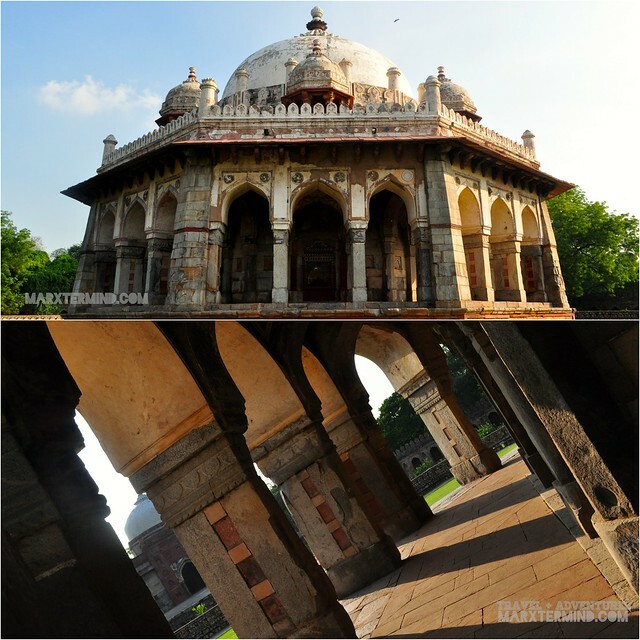 Lodhi Garden is a park in Delhi that is situated between Khan Market and Safdarjung’s Tomb on Lodhi Road that spread over 90 acres. The park is open daily from morning to evening with no charge for entry. 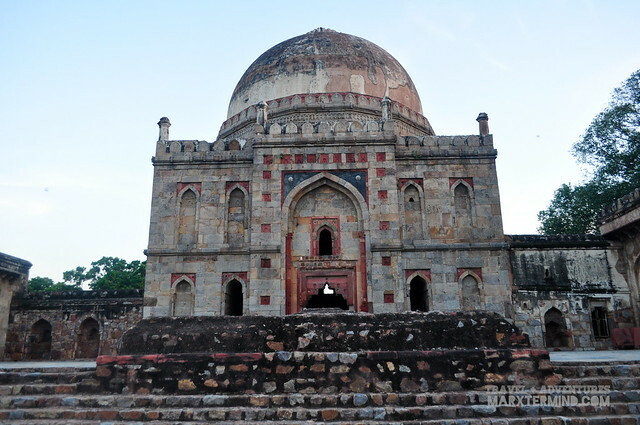 Lodhi Garden contains several mausoleums and mosques like Mohammed Shah’s Tomb, Sikander Lodi’s Tomb, Sheesh Gumbad and Bara Gumbad. The park also serves as a favourite spot for healthy buffs – people jogging around. 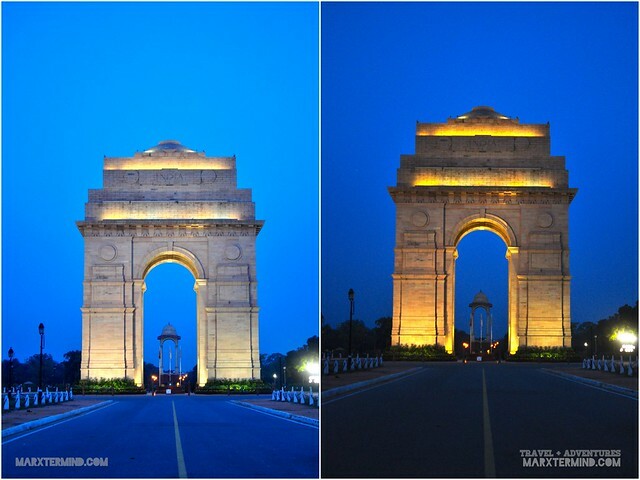 A site that shouldn’t be missed when visiting New Delhi is the India Gate. 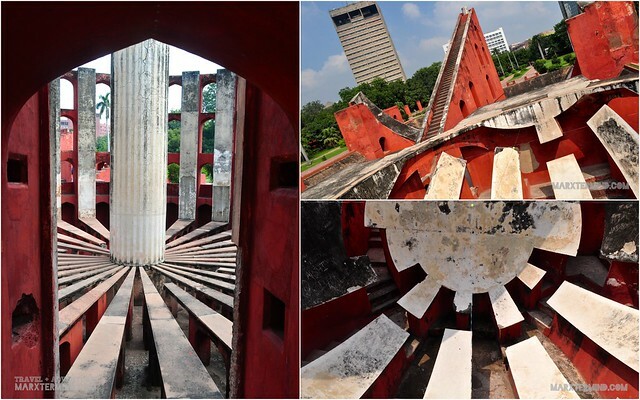 This monument which stand 42 meters high is a national monument of India that was designed by Sir Edwin Lutyens. The statue can be visited from morning to night with no charge for entry. We had reached the site by riding an auto rickshaw from Lodhi Garden. Travel time took us about 10 minutes or less. Our second day was filled with visits to several tourist sites around Delhi. We had the entire day to spend roaming around the metropolis seeing the great scenery and sites that this district has. 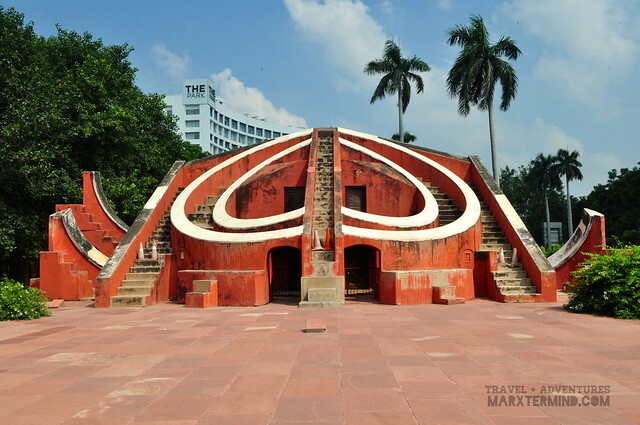 We had begun our city tour by visiting another major site, the Jantar Mantar. 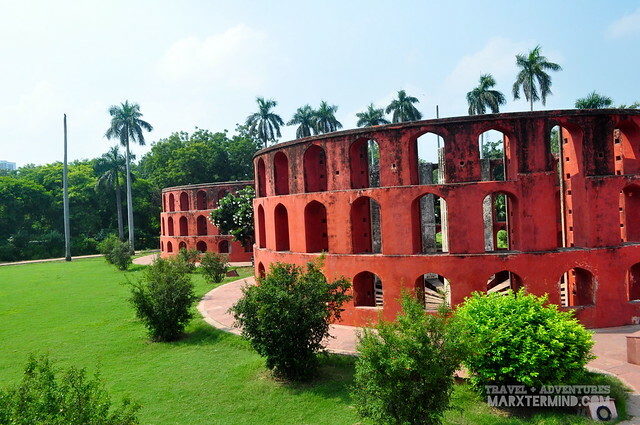 Jantar Mantar is an observatory which is located in Parliament Street, Connaught Place that was constructed in 1724. The site consists of 13 architectural astronomy instruments. It was said that the primary purpose of this site was to gather astronomical tables, and to forecast the times and movements of the sun, moon and planets. The site is open from sunrise to sunset with entry fee of Rs 100 for foreigners and Rs 10 for local tourists. 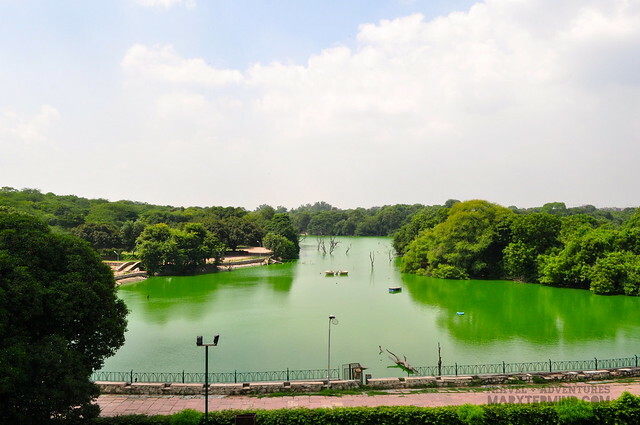 We rode a metro train from Patel Chowk Railway Station going to Green Park Railway Station, and rode an auto rickshaw to reach Hauz Khas Complex. It took us about half an hour to reach the site. 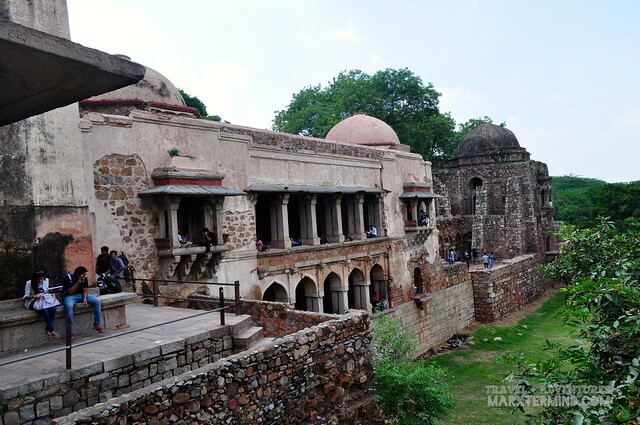 Hauz Khas Complex is located in Hauz Khas, South Delhi that houses a water tank, an Islamic seminary, a mosque, a tomb and pavilions built around an urbanised village. The complex is open for visitors all days of the week from 10 AM to 6 PM with no entry fee. Most visitors of this park are the young generations – students, teenagers and few young adults sitting comfortably with their friends here and there. Our visit to the park was somehow a breath of fresh air. It was relaxing seeing the green scenery and being away in the scrambled city. There are also some restaurants and eateries located outside the park. We then spent our lunch in one of the restaurants. Located in Mehrauli in Delhi, we rode the metro train again from the Green Park Railway Station going to Qutub Minar Railway Station. 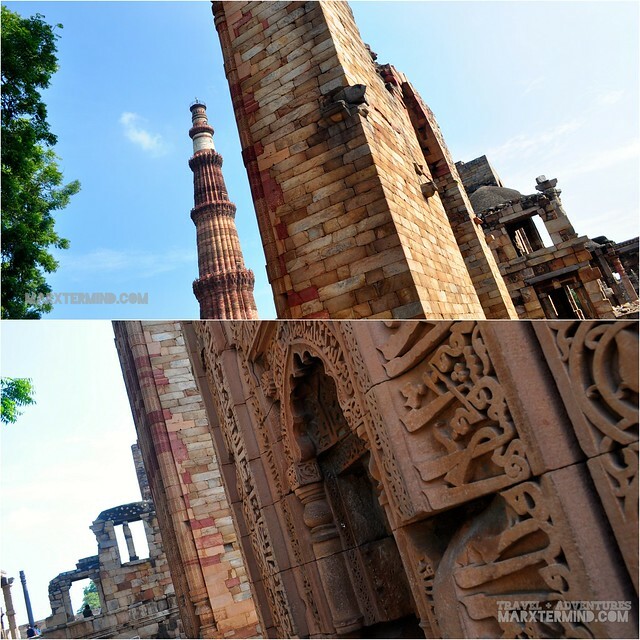 After reaching the train station, we rode an auto rickshaw to get to the famous site of Qutub Minar which is just about 5 minutes ride. 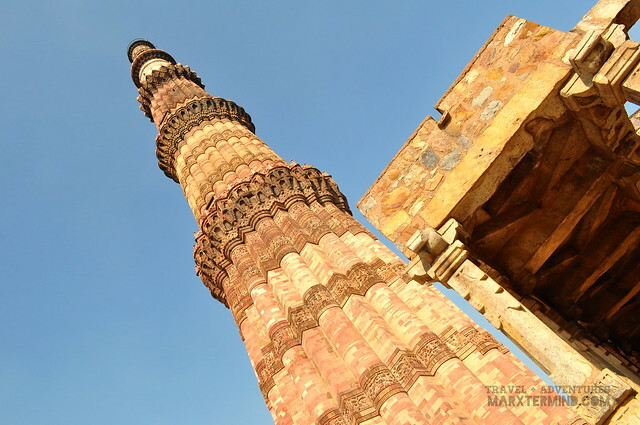 Qutub Minar is open daily with entry fee of Rs 250 for foreigners and Rs 10 for Indians. Food and bags are not allowed inside the historical site, and these have to be left in the baggage counter (with a minimal fee). 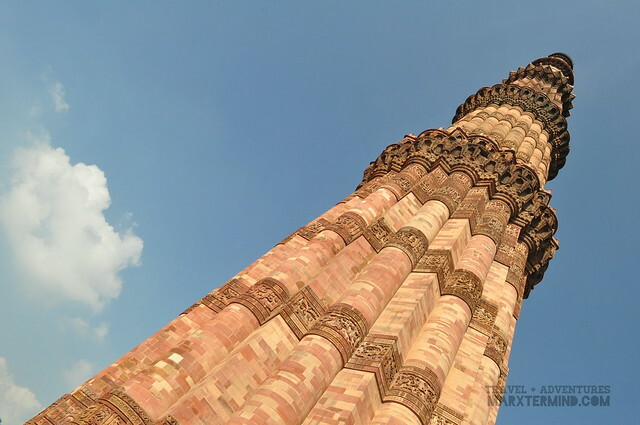 Qutub Minar (also spelled as Qutb and Qutab) is the tallest minar in India soaring in 73 meters high. It has a base diameter of 15 metres which narrows to 2.5 metres at the top. The tower has five distinct storeys wherein each of it is marked by a projecting balcony. 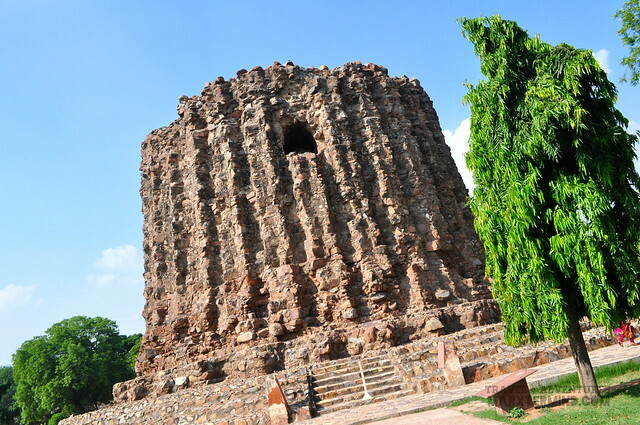 The prominent tower is also a UNESCO World Heritage Site. 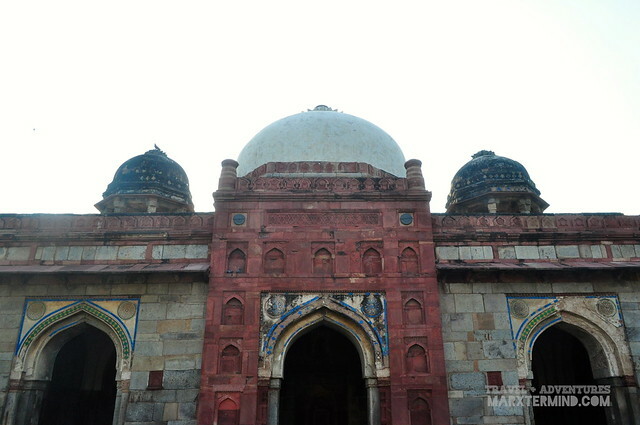 It is inscribed with Arabic inscriptions and made of red sandstone and marble. Approximately half an hour auto rickshaw ride from Qutub Minar site, we had reached our next destination, Lotus Temple. 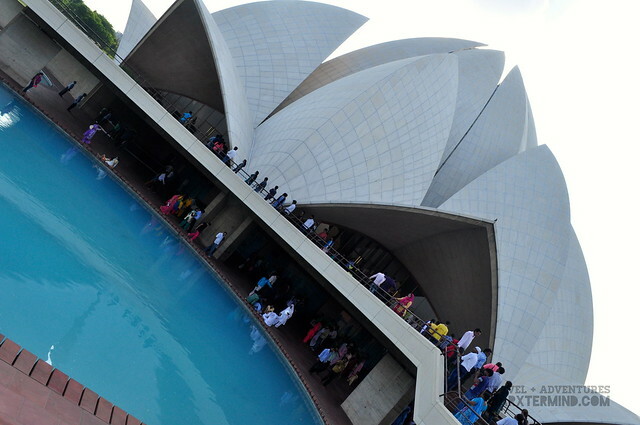 The religious site is a Bahá’í House of Worship located in New Delhi which was completed in 1986. The site was so crowded when we arrived, with people lining up to get in to the religious building. 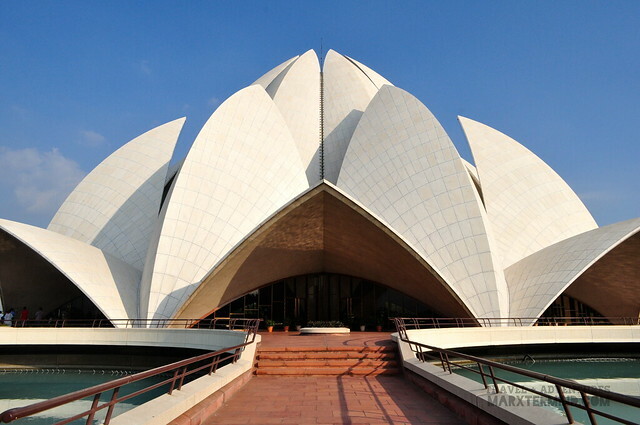 True to its name that it holds, the site is one of the most visited religious site in the world. On an average, it was said that 8,000 to 10,000 people visit the religious site each day. The temple is open to all regardless of religion or any other distinctions. The temple can be visited from 9:00 AM to 5:30 PM during winter while 9:00 AM to 7:00 PM during summer with no entry fee. Shoes have to be deposited in the shoe room situated along the path to the main temple, before entering the main temple itself. 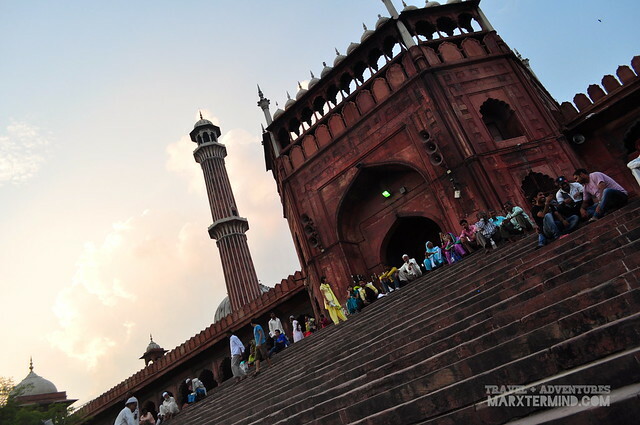 Jama Masijid is a principal mosque situated in Old Delhi with Chawri Bazaar as the nearest metro train station. It is said to be the largest and best known mosque in India with a courtyard capable of holding 25,000 devotees. The mosque is open all days of the week from 7:00 AM to 12:00 PM and 1:30 PM to 6:30 PM with no entry fee. Tourists are not allowed during the pray hours. Visitors should remove their shoes at the top of the stairs before entering the mosque. A camera charge of Rs 200 has to be paid per person if you would be taking pictures inside the mosque. We were already inside the mosque and taking photographs when suddenly a group of men approached us asking for a Rs 300 fee in a derogatory manner. I’m not going to pay such hefty amount for a picture of one or two. I got shocked with how they approached me so I quickly came near to my companions. I was in doubt so I asked them why they were only charging us and not the other tourists. They didn’t answer. An argument had then happened between our group and the group of men. They were pushy and aggressive. They were trying to milk us. It feels like they were just trying to scam us. So to end the commotion, we had then told them that we’ll just delete the pictures that we had taken inside… and so we did. We then went out of the site quickly and moved away from the area. These men targets tourists, so beware. 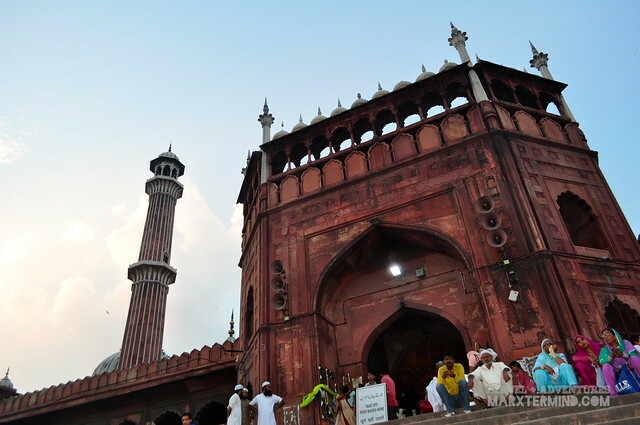 A 15 minutes walk from Jama Masjid is where the Red Fort is. The fort is open from sunrise to sunset from Tuesday to Sunday with entry fee of Rs 250 for foreigners while Rs 10 for Indians. There’s also a sound and lights show being held inside the fort with varying schedule starting from 6:00 PM. Entry fee is Rs 80 for adults and Rs 30 for children. We weren’t able to catch the regular visiting hours so we had just decided to watch the sound and lights show. 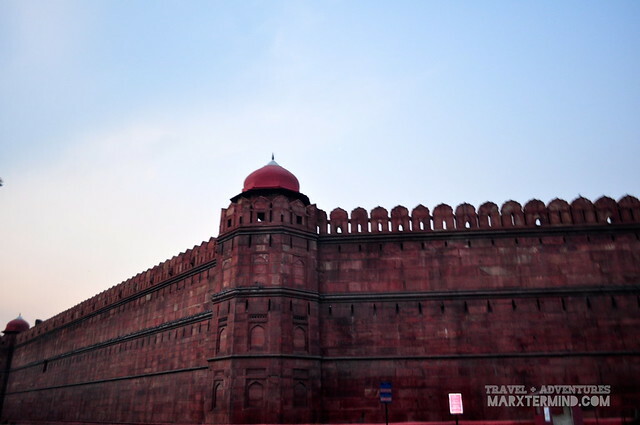 The Red Fort was the residence of the Mughal emperors of India for nearly 200 years, until 1857. 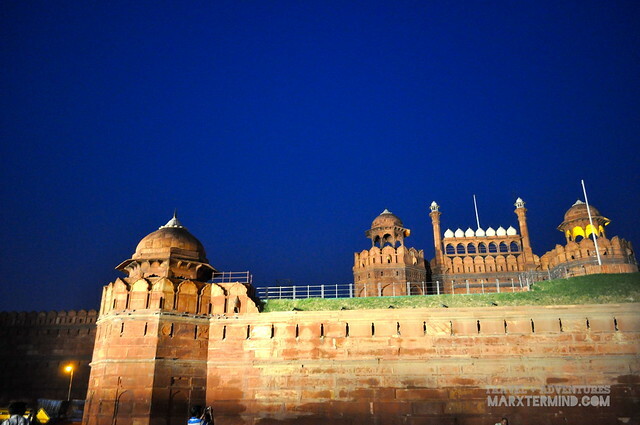 The red sandstone walls of this massive fort rise 33 meter s above the uproar of Old Delhi that serves as a reminder of the magnificent power and solemnity of the Mughal emperors. We had our dinner in one of the local veggie restaurants in Chandni Chowk while we wait for the Red Fort’s sound and lights show. We didn’t finish the show anymore as it was already making us feel bored. 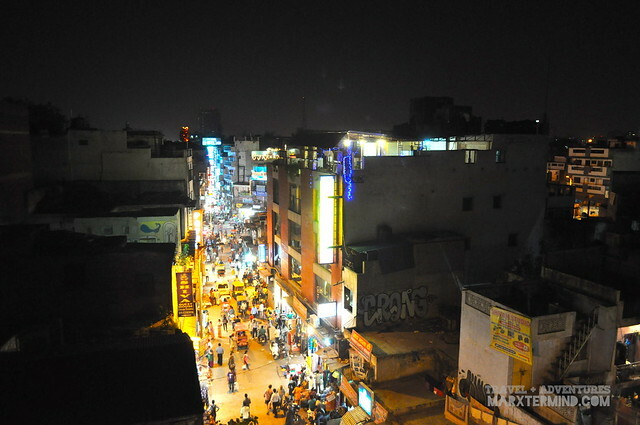 We went out of the fort area and went back to Main Bazaar to cap off our night. We lounged in one of the restaurants in the area and spent the rest of our night drinking a bottle of local drinks and smoothies (for the lady). 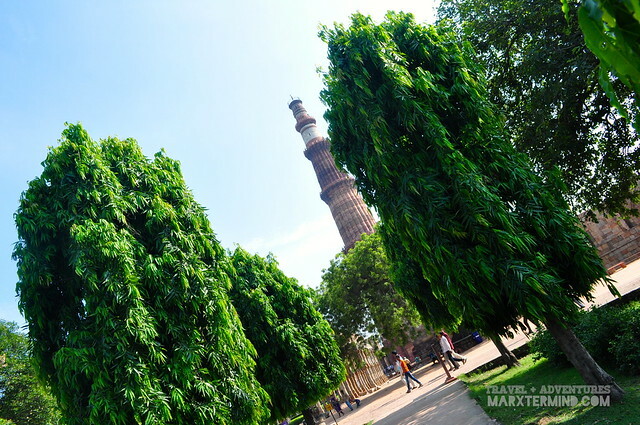 It was such an experience sightseeing the different tourist spots in Delhi for two days. Such timeframe isn’t really enough to get to the different amusing and entertaining spots of the city. We didn’t even had the chance to get to the malls and marketplace to check out different local items. Nevertheless, though the experience was taxing, it was still a fun and interesting days spent in the lively city of India. Hi. One of the great blogs that I’ve read/seen, Meron kang detailed na itinerary sa India Trip mo tulad nung sa Myanmar Trip mo? ganda ng shots marx! astig!